What is Neu Bros. Slingball? Original Slingball has been called many names over the years. Cowboy golf. Hillbilly golf. And the list goes on. In fact, you may have played on a home made set at a family bbq or at the beach. The Neu Brothers have been playing Original Slingball for many years after being introduced to the game through friends. The difference being the Neu Brothers have added an additional 4th rear cross bar and several other twists to enhance the game. They’ve also created terms for the many wacky things the Slingballs do while playing. 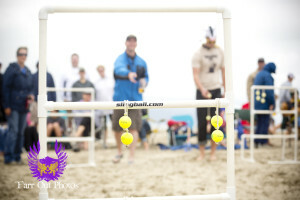 Like horseshoes and bocce ball, Sling Ball is a game where 2-4 people play against each other and try to score by wrapping the sling balls around 4 sets of cross bars. The top cross bar is worth one point, the 2nd cross bar worth two, and the 3rd bottom cross bar worth 3 points. The rear cross bar is worth 4 points. Each person gets a three sling ball set and three tosses. The game continues until one player lands exactly on 21 points. The first player to land on exactly 21 points wins. Each of our Original Slingball sets are hand crafted with quality parts. Real golf balls, solid rope and schedule 40 pvc… Original Slingball is tough and durable. There are a ton of others in the marketplace, but if you want a set that is built to last, you want Original Slingball! Plus Slingball was created to raise awareness and help the fight against MS. Slingball is dedicated to the Neu Brothers mother, Marilyn J. Neu who believed in being good to people, celebrating life, and paying it forward. By playing and supporting Slingball you are doing just that! So feel free to surf out website. Investigate the rules. Laugh at the SlingSlang. And hopefully you’ll end up participating in a tournament, purchasing a set or merchandise, or volunteer for an event…all in the name of having fun and helping the fight against MS! Thanks for visiting our website! Cheers! How did Slingball get started? The Neu Brothers started playing Slingball after being introduced to the game from a friend. While they had fun playing the game, another friend seeing all the wacky things the slingballs would do, came up with an idea of adding another 4th bar. After a few trial and error games, the Neu Brothers figured out that adding a 4th rear bar 2 feet behind the slingball tower was the perfect distance to add even more crazy experiences to Sling. After several years of playing at the beach and in the backyard, the Neu brothers were hit with some terrible news. In 2005, their mother Marilyn Neu passed away due to complications with Multiple Sclerosis. The Neu Brothers were left with mixed emotions of sadness & grief as they had lost their mother, but also anger and frustration wondering why was such a giving person stricken with this disease. After the service the Neu Brothers took a weekend to decompress at their favorite beach spot, Pacific City OR, where they own a family beach house. They hoisted a beer at the Pelican Pub in honor of their mom, Marilyn, and turned their energy to playing Slingball and celebrating her life. And that’s when it hit them. When playing on the beach at Pacific City, people would always ask them “what’s that game”….”how do you play?”…..”can you teach me how to make a set”. 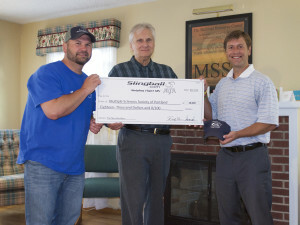 It was at that time, the Neu Brothers put two and two together and came up with the idea to create Slingball.com and to kick it off by hosting the 1st Annual MJN “Help Fight MS” Slingball Tournament. With a total of only 9 players, it was hardly a financial success to raise funds for MS, however, everyone has to start somewhere, right? For the Neu Brothers, it was therapeutic, as it was a chance to celebrate their mom’s life, have some fun, and support a good cause. Since the innaugrual tournament in 2006, it’s grown tenfold every year with participation now well over 200 and the expansion of adding a Kids “Mini Marilyn” Tourney! While the Neu Brothers can’t quit their day jobs, they hope to continue to grow participation in the Tournament and eventually be able to host Tournaments in multiple states and challenge other MS chapters. 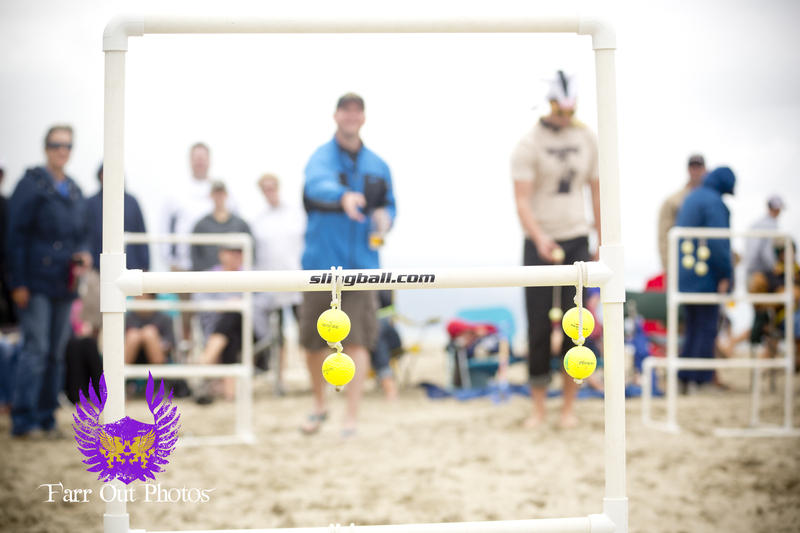 Did we mention that ANYONE can play Slingball and that some of the past Champions only learned how to play from playing in the Tourney? To learn more about past tourneys and how you can get involved, check out our Tourney Page. This website is dedicated and in honor of the Neu brothers’ mother, Marilyn J. Neu, who was diagnosed with MS in her early 20’s. Marilyn has since passed on, but her legacy continues through slingball.com. The majority of proceeds are donated to one of the following organizations on an annual basis.